Sales at Bosch Mobility Solutions up 1 percent year on year in China in 2018. Rolling chassis development alliance with Benteler launched. Bosch’s sales in the NEV segment doubled between 2017 and 2018. 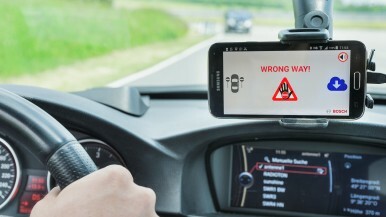 Driver assistance sales up 30 percent in China in 2018. Stuttgart, Germany/Shanghai, China – With more than 70 manufacturers, over one-fourth of all newly registered cars worldwide, and hundreds of millions of potential customers, China is at the heart of the global automobile industry. Despite taking time out at the moment, China remains the world’s largest automotive market ahead of Europe and the U.S., thanks to sales of 23.7 million cars. Last year, Bosch once again held its own in China. “Our Mobility Solutions business sector performed well in a difficult environment in 2018,” Dr. Stefan Hartung, a member of the Bosch board of management and chairman of the Mobility Solutions business sector, said at Auto Shanghai 2019. In 2018, Bosch’s OEM sector increased its sales in China by 1 percent to 10.5 billion euros1, accounting for roughly 22 percent of Mobility Solutions’ global sales. Among other factors, Bosch benefited from strong demand for electromobility and driver assistance solutions, as well as from brisk business in commercial-vehicle technology on the back of a 3 percent rise in sales to 4.4 million vehicles in 2018. Our Mobility Solutions business sector performed well in a difficult environment in 2018. However, Bosch does not expect 2019 to be an easy year for the Chinese automotive market. “In the Chinese market, the brakes will stay on this year,” Hartung said, while rejecting any calls for pessimism. With the number of vehicles per 1,000 people in China currently at around 170 vehicles, for example, there is still potential for vehicle unit sales to grow. In Germany, that figure stands at approximately 690 vehicles per 1,000 inhabitants. “The Chinese market is far from saturated. The potential for Bosch remains tremendous in the medium to long term,” Hartung added. Bosch offers a broad portfolio in China, maintaining 23 manufacturing sites and employing some 34,500 associates. In addition, 5,600 researchers and engineers are working on new mobility solutions. China’s future plans for the domestic automotive market are highly promising, as is the growing new energy vehicle (NEV) segment. The segment of vehicles featuring battery, fuel cell, and plug-in hybrid powertrains grew by more than 50 percent in 2018, corresponding to 1.26 million NEVs sold. In the past, China has provided generous subsidies for alternative powertrains. Even though the government has since cut back its funding and plans to completely phase out its subsidies in the long term, the future in China belongs to NEVs. 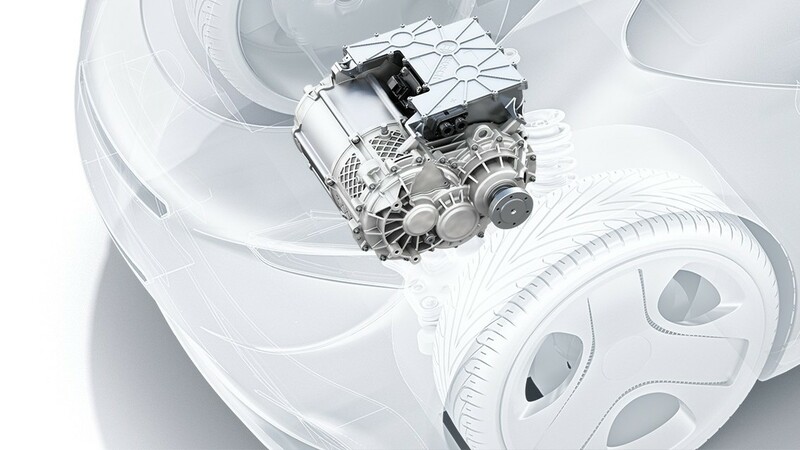 Bosch is approaching future powertrain technology with an open mind. The supplier of technology and services will continue to improve the internal-combustion engine and is the leader in the market for electromobility in China. Bosch’s sales in the NEV segment doubled between 2017 and 2018, and the foundation for further growth has already been laid. 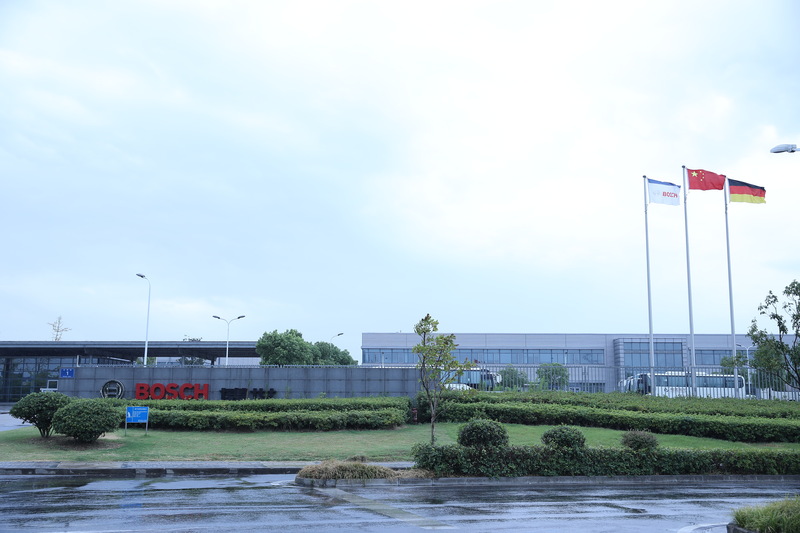 Bosch is slated to begin production of the e-axle in Taicang this year. The e-axle combines power electronics, engine, and transmission in one compact housing. In addition, production of the 48-volt battery began in Wuxi last year. Around the world, electromobility is attracting new players to the automotive market – and China is no exception. At Bosch, a separate unit has been working since the start of the year to serve these new customers, all of whom have one thing in common: an increased demand for system solutions rather than individual components. For Bosch, doing business with these players offers the potential for sales worth billions of euros. To help it keep up with future trends in electromobility, Bosch has entered into a development alliance with the chassis and automotive technology expert Benteler. The development alliance focuses on the rolling chassis, a driveable modular platform that can be used flexibly as a basis for car bodies. The aim of the development alliance is to better understand the demands that a concept of this nature places on Bosch’s products and systems for powertrains, braking, and steering, while also promoting the targeted advancement of such products and improving the way they work together. Along with enhancing Bosch’s systems integration expertise, the development alliance is also designed to help the company perform a precise analysis of the market for rolling chassis. Benteler will be presenting a prototype of a rolling chassis at its booth at Auto Shanghai. New mobility solutions are also in high demand in China. At Auto Shanghai, Bosch will be showcasing the IoT Shuttle, an important pillar in tomorrow’s urban mobility. Bosch provides components and systems for automating, electrifying, personalizing, and connecting the shuttles. 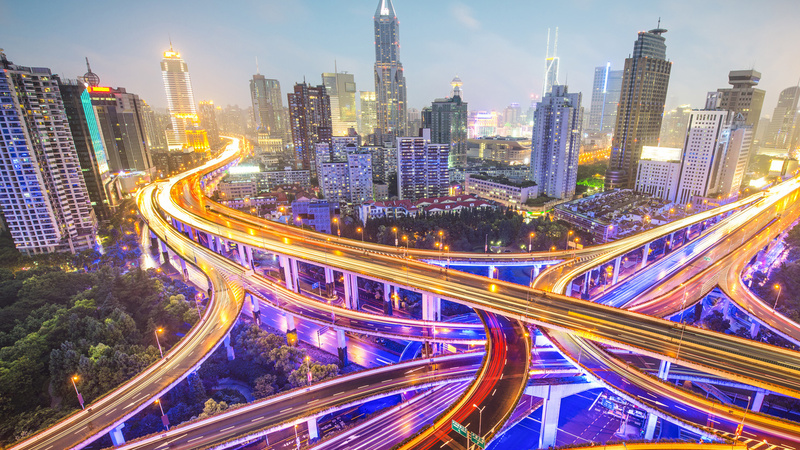 Connected vehicles are expected to account for more than 50 percent of market share in China by 2020. Bosch is supporting its customers by providing connectivity solutions, as well as smart services such as software updates over the air and predictive diagnostics. By 2030, 10 percent of all cars on China’s streets are also expected to be fully automated. In 2018, Bosch and Daimler showed the world how driverless driving can work in cooperation with intelligent, connected infrastructure at a parking garage by demonstrating automated valet parking in Beijing. Driver assistance systems are the backbone of automated driving, and Bosch is a technology and business leader in this field. Bosch’s driver assistance business grew by some 30 percent in China in 2018 and is projected to continue growing in 2019. This year, Bosch will provide partially automated driving solutions for 40 models built by Chinese manufacturers. For these reasons and many others, Bosch believes that China will remain at the heart of the automotive industry. 1 Sales for 2017 do not include the Starter Motors and Generators unit. Mobility Solutions is the largest Bosch Group business sector. According to preliminary figures, it generated sales of 47 billion euros in 2018, and thus contributed 60 percent of total sales from operations. This makes the Bosch Group one of the leading automotive suppliers. 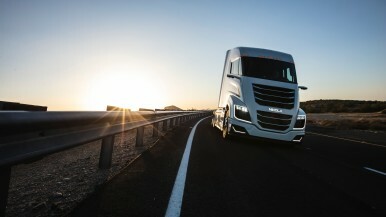 The Mobility Solutions business sector pursues a vision of mobility that is accident-free, emissions-free, and stress-free, and combines the group’s expertise in the domains of automation, electrification, and connectivity. For its customers, the outcome is integrated mobility solutions. The business sector’s main areas of activity are injection technology and powertrain peripherals for internal-combustion engines, diverse solutions for powertrain electrification, vehicle safety systems, driver-assistance and automated functions, technology for user-friendly infotainment as well as vehicle-to-vehicle and vehicle-to-infrastructure communication, repair-shop concepts, and technology and services for the automotive aftermarket. Bosch is synonymous with important automotive innovations, such as electronic engine management, the ESP anti-skid system, and common-rail diesel technology.